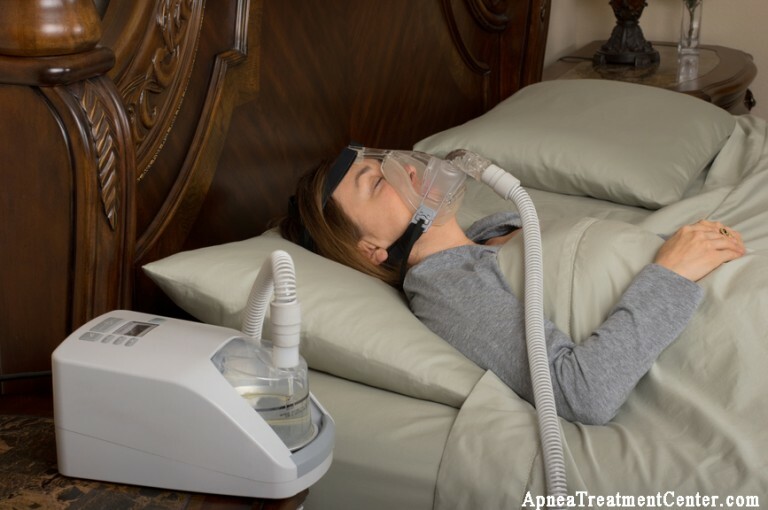 One of the most common concerns we receive at the Apnea Treatment Center involves snoring. Not only does snoring keep others awake, but it also can be a sign of dangerous sleep apnea symptoms. If you’re looking for an unobtrusive option for alleviating sleep apnea symptoms, as well as helping snoring, the best nasal strips for sleep apnea are worth considering. We’ve invested dozens of hours of research into studying nasal strips and related products, and our choice as the best nasal strip is the Breathe Right Nasal Strip. It’s a popular and simple option for opening the nasal passages more fully, it stays in place well throughout the night, and it’s inexpensive. Some people don’t like the way a nasal strip uses adhesive to remain in place, as it can irritate the skin over time. Fortunately, there are other types of products beyond the best nasal strips that can perform a similar function to the strips. One of our favorite products to use in place of a nasal strip is called a nose vent. The best nose vent is the SnoreCare Premium Nose Vent, thanks to its comfort level and its different size options. 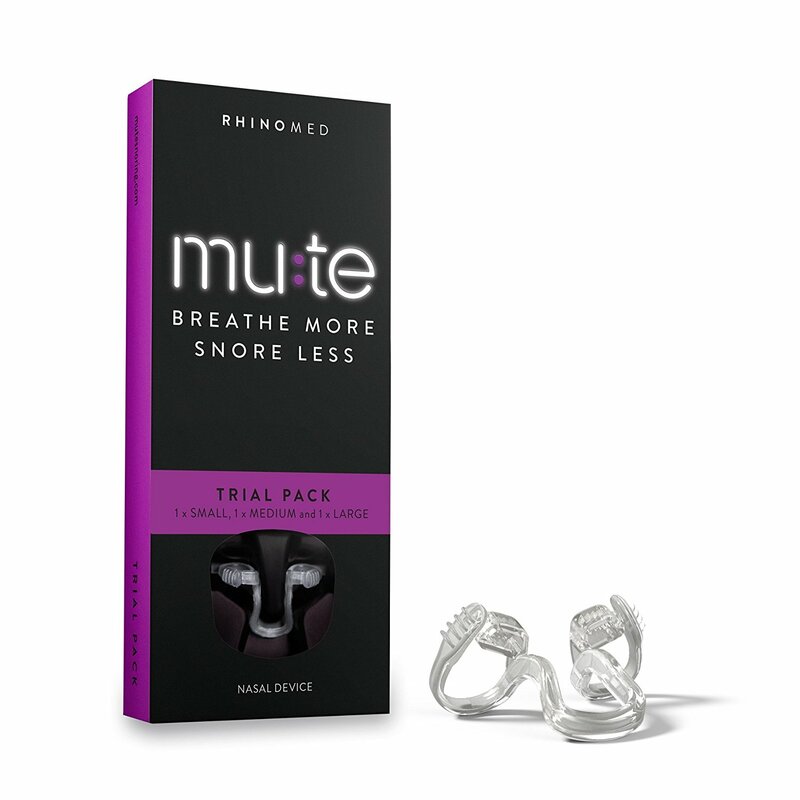 Another product to consider is the Mute Nasal Dilator Breathe Aid, which is our pick for the best intra-nasal device. The Mute Nasal Dilator Aid will hold open your nostrils and nasal passages throughout the night without the use of adhesives. It does take a bit of practice to figure out the most comfortable method of using the Mute Nasal Dilator, but if you can stick with it, you’ll find it does the job of alleviating some sleep apnea symptoms and snoring concerns. Continue reading to learn more about each of our choices for the three best nasal strips, nose vent, and intra-nasal device for sleep apnea! Nasal Strips: Do They Work? Who Should Use Nasal Strips? If you are someone who suffers from snoring, you may have obstructive sleep apnea (also known as OSA). While sleeping, people suffering from OSA may have their tongue or soft palate fall toward the back of the throat. This will cause an obstructed airway, resulting in apnea symptoms. OSA symptoms occur more often when people sleep on their backs. The best nasal strips aren’t necessarily going to fix sleep apnea problems caused by OSA. However, if you can breathe more easily through your nose, you may be able to sleep more comfortably on your side or stomach, as you won’t need to have your mouth open to breathe when sleeping. So nasal strips, nose vents, and intra-nasal devices can aid with some OSA symptoms by keeping the nasal passages more fully open, allowing for comfortable sleeping on the side or stomach. Our nasal strips for sleep apnea and snoring reviews, and accompanying research work, has yielded these top three options. We’ll break down each product, identifying strengths and weaknesses in the reviews that follow. 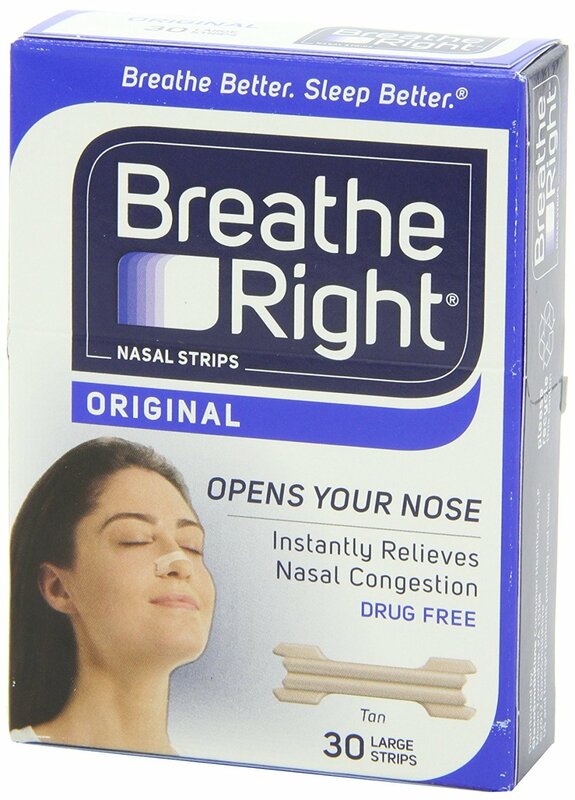 Breathe Right is the most well-known brand of nasal strips, and it’s for a good reason: They work very well and are the most comfortable nasal strips. Our tests show that Breathe Right strips tend to stay in place throughout the night much better than other brands of nasal strips. These are the best nose strips for breathing more easily. A Breathe Right Nasal Strip is a flexible band that attaches to the nose just above the flare of the nostrils. The underside of the strip has adhesive on it, meaning it’ll stick to the skin. After you attach the strip, wrapping it around your nose, the flexible band will attempt to straighten, which pulls up on the skin. This causes the nasal passages to open more fully, which will make it easier to breathe through your nose. By having the nasal passages more fully opened with these nasal strips, we found that incidents of snoring were reduced. Additionally, you don’t need a prescription to make use of Breathe Right Nasal Strips, as they’re easily purchased on the internet for a low price. This means the best nasal strips can be a nice option to try to alleviate snoring or obstructive sleep apnea symptoms before trying more expensive or more invasive products. One of the biggest complaints regarding Breathe Right Nasal Strips side effects from customers is that it may leave some adhesive residue on the skin. Fortunately, Breathe Right offers several different styles of its nasal strips, some of which are designed to help those with sensitive skin, such as the Clear and Extra Clear styles. Another style is the Lavender nasal strip, which includes a lavender scent that can help some people relax and sleep more soundly. Finally, Breathe Right includes a variety of sizes of nasal strips, which is great for ensuring a proper fit. And there are a few different colors available. You may need to try a few different styles and sizes before you find the one that will work best to help you alleviate your snoring problems. Just make sure you follow the directions exactly, so you know how to apply Breathe Right strips properly to receive the best results. Remember when you were a kid and your mom told you never to put things up your nose? The SnoreCare company begs to differ! The best nose vents we’ve found in our research are the SnoreCare Premium Nose Vents. They consist of tiny tubes that are open on both ends. Once inserted into the nostril properly, the nose vents will help to keep your nostrils and nasal passages more fully open, promoting clearer breathing. That allows these nose vents to alleviate and reduce some symptoms of OSA and snoring. With open nasal passages, you should be able to sleep on your side or stomach more comfortably, reducing OSA events caused by sleeping on the back, for example. SnoreCare Premium Nose Vents are available in four different configurations, and each type is contained within one box, so you can test each type to find the best one for your needs. Customers who have tried this product really like this ability to try the different types without having to purchase multiple boxes. The SnoreCare vents are available in large and small sizes, and each size has a threaded and smooth version. The threaded versions will fit more snugly in the nose than the smooth version, remaining in place more successfully. But some customers report that the threaded versions cause a bit of discomfort during the night, and they prefer the smooth version. Although it can be a little scary to insert something inside your nostrils, we found during our tests of the SnoreCare Premium Nose Vents that the devices are relatively comfortable to wear. These vents are made of a soft, pliable material that’s still tough enough to keep the nostrils open wide. The most common complaint with these nose vents involve people having a difficult time keeping the nose vents in place all night, reporting that they fall out on occasion. Because there is no adhesive aspect to the SnoreCare Premium Nose Vents, pressure against the inside of the nostrils keeps the vents in place. The SnoreCare vents have a loop of plastic that connects them and ensures that they won’t go too far into your nostrils, allowing people to wear them safely. But the loop doesn’t keep them inside the nostril if they don’t fit quite right. You’ll reuse these vents dozens of times, so you’ll want to wash them each morning and store them in the included carrying case when not in use. Because SnoreCare uses high-quality, medical-grade silicone in the construction of the Premium Nose Vents, you don’t have to worry about unsafe materials with these devices. By inserting this best intra-nasal device into the nostrils, you’ll be holding the nostrils open, which also forces the nasal passages open. 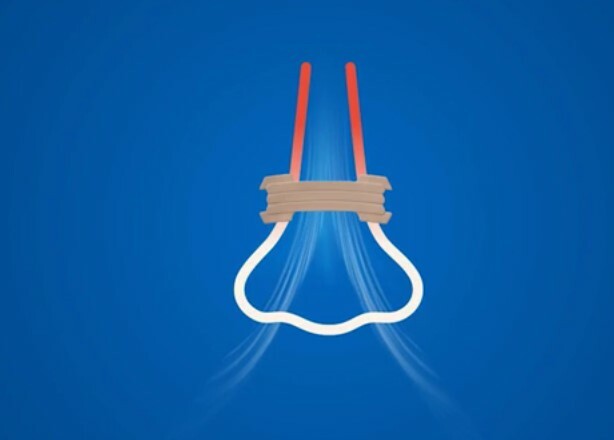 Having a clearer passageway to breathe through the nose with this SleepRight device during the night should reduce or alleviate symptoms of snoring and obstructive sleep apnea, by allowing the wearer to more comfortably breathe through the nose and sleep on their side or stomach. We do have to mention a potential problem with this device that we found during our testing: It can be painful to wear. The Mute Nasal Dilator is slightly flexible, allowing you to insert it into your nostrils. But it also has some tension to it, which it uses to hold the nostrils open. There is no adhesive used with the Mute Nasal Dilator aid, meaning it needs to use the tension to remain in place. The U-shaped piece in the middle of the device helps to keep the unit in the proper place all night and ensures that it won’t go too far into the nostril. However, this tension can cause an uncomfortable pinching sensation for some people, making it painful to wear for the entire night. This pinching sensation often will feel better after a few nights of use, as the device loses a bit of its initial tension strength, so don’t give up on the SleepRight device immediately. But it’s important to understand that this device won’t work well for everyone. Unlike the Mute Nasal Dilator Strips we discussed earlier, the Mute Nasal Dilator is not recommended for use by children. And you’ll want to be certain you are using the device exactly as recommended by the manufacturer, or you could cause damage to the interior of your nose. Another potential problem with the SleepRight product is that it’s only available in one size, so some people may not be able to use it. So we’ve already discussed that the best nasal strips for snoring (and products related to nasal strips) are easy to apply and carry relatively low price points. But do they actually work? Our testing shows that for a lot of people, nasal strips will work well for reducing the symptoms of snoring. In independent testing, a study published at ResearchGate showed a reduction in snoring for Breathe Right wearers. And results of another test, published at Europe PMC, showed 22 of 30 study participants had reduced snoring while wearing Breathe Right strips. The strips also allowed the wearer to receive a more restful night of sleep. Those suffering from obstructive sleep apnea, or OSA, may at least benefit a bit from using nasal strips during the night, primarily because it’s easier to sleep on the side or stomach when it’s easier to breathe through the nose. By avoiding sleeping on the stomach, OSA symptoms typically are reduced. Additionally, a study published at Ingenta Connect showed 19 of 26 patients wearing Breathe Right strips saw reductions in RDIs (which include obstructive apneas). Those with severe cases of sleep apnea may sleep more soundly by using nasal strips, but they aren’t going to cure this severe form of apnea with nasal strips. If you’re someone who has frequent nasal congestion, you’re likely to find that you have a dry mouth when you wake up in the morning. This occurs because you’re unable to breathe through your nose during the night, and your mouth ends up hanging open. By breathing through your mouth for even a few hours during the night, you’ll end up with a dry mouth. So the best nasal strips can help you avoid this problem. These products won’t work perfectly for everyone who suffers from OSA, but they do have enough benefits to make them worth trying. Nasal strips, nose vents, and intra-nasal devices are a good way to try to alleviate problems with snoring for a low price. Nasal strips and related products have a variety of uses, some of which even extend beyond the realm of sleeping. Continue reading to learn more about some of the situations where the best nasal strips can provide a benefit. 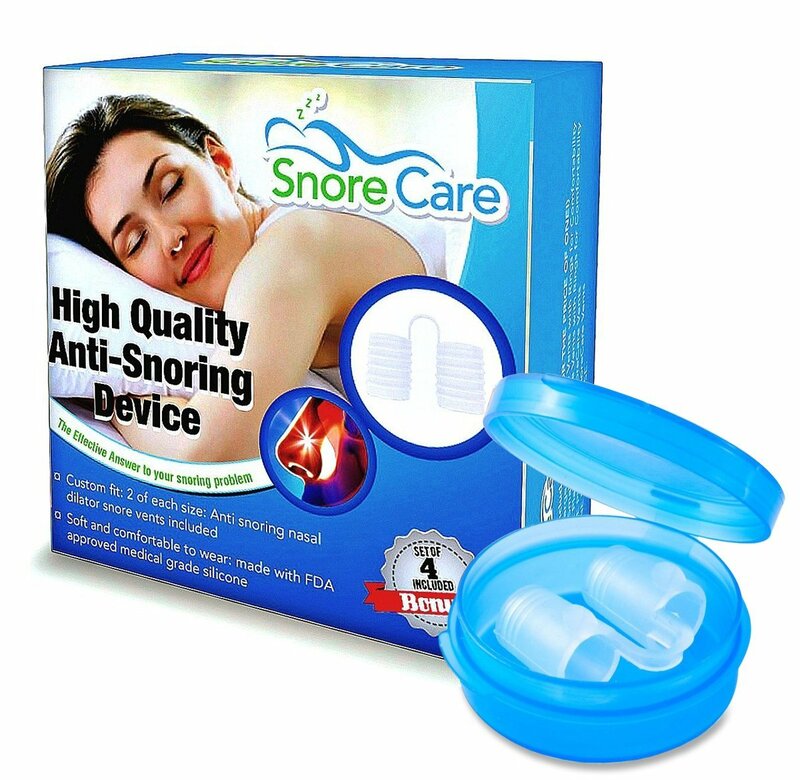 Snorers - Because nasal strips and products like nose vents and intra-nasal devices hold the nostrils and nasal passages more fully open, they allow people to breathe through their noses while sleeping, rather than breathing through their mouth. This means that if you’re someone who tends to snore when your mouth is open while sleeping, you may experience a reduction or an elimination of snoring symptoms. 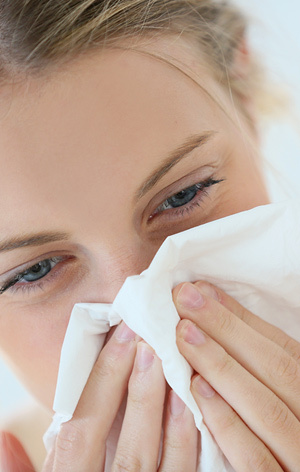 Nasal congestion sufferers - Sometimes, if you have a cold or allergies, you may wake up with a dry mouth. The cold or allergies have caused inflammation or irritation in the nasal passage, resulting in nasal congestion. Because your inflamed nasal passage has less airflow than normal, you may end up sleeping with your mouth open so you can breathe more easily. The best nasal strips for congestion and similar products can help counteract nasal congestion by holding the nasal passages open more fully. Deviated septum suffers - A question we sometimes hear is, do Breathe Right Strips work for deviated septum symptoms? The short answer is yes. The septum is a piece of cartilage that separates your nostrils. If you suffer an injury to your nose, such as a broken nose, this cartilage could move out of place, causing a “deviated” septum. This makes it more difficult to breath through one side of your nose, which can force you to sleep with your mouth open. But the nasal strips hold both nasal passages open more fully, allowing you to breathe through your nose during sleep. Athletes - For athletes who want to be able to breathe through their noses more efficiently during exercise, nasal strips and similar products can help. Some people suffer from nasal congestion while exercising. And some people, especially distance runners, can feel more relaxed while exercising when breathing through the nose, rather than the mouth. Nasal strips can keep the nasal passages open, allowing for easier breathing through the nose. Comfort is the biggest complaint customers have with the best nose vents, nasal strips, and intra-nasal devices. This is understandable. Inserting an item inside your nostrils or using adhesive to stick something to the sensitive skin on your face for several hours – all while you’re trying to sleep – can be difficult. Our research has found the following specific problems with these types of products. Nasal strips require a bit of adhesive to remain in place. Some people report skin irritation from the adhesive, as well as residue left behind. Using warm water on the nasal strip before trying to remove it can release the adhesive easier. With each of these types of products, you’re using tension to open the nasal passage more fully. This tension can cause pain or irritation, either from the product rubbing on the skin or interior of the nostril or from maintaining pressure on those areas for several hours while sleeping. Perhaps the biggest problem we’ve found with these products is ensuring they remain in place throughout the night. After all, very few people sleep soundly without moving around. 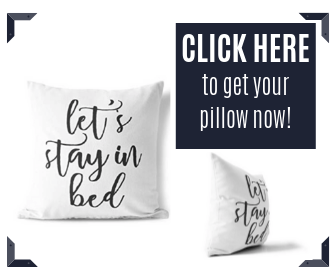 You’re going to rub your face against your pillow or involuntarily brush your hand against your nose and face at times. That’s one reason why we’ve recommended Breathe Right Nasal Strips as our top product for the best nasal strip for sleep apnea. It remains in place better than other brands of nasal strips. Although we’re all tempted to skip reading directions for products, you’ll want to read them for these devices. If you don’t apply the best nasal strip products properly, they won’t work for you. Additionally, they could become dangerous to you if not applied and used as directed. Yes, we know the directions are boring, but read them anyway. Q: DO NASAL STRIPS REALLY IMPROVE SLEEP? A: For most people, the answer is yes. When you’re unable to breathe easily and steadily, it can be tough to sleep soundly. By keeping the nostrils and nasal passages more clearly open, you’ll be able to breathe while sleeping and sleep more soundly. Q: CAN ANYONE USE NASAL STRIPS & RELATED PRODUCTS? A: Although these types of products are sold over the counter and don’t require a prescription, they aren’t appropriate for everyone. Breathe Right strips are not designed for children younger than 5 years of age, for example. Some intra-nasal devices aren’t designed for children at all. Read the directions on the product carefully to ensure they’re all right for you to use safely. Q: HOW LONG WILL IT TAKE FOR THE PAIN & DISCOMFORT TO GO AWAY WITH THESE PRODUCTS? A: Pain and discomfort is a common problem when you’re just beginning to use nasal strips for sleep apnea products. For some people, the problem fades away after a few nights of use. For others, the products are never comfortable to use. Unfortunately, each person’s experience is a little different, and there’s no set length of time for when the discomfort will go away. It’s just a trial and error process. Additionally, where one type of product causes pain, another type may be comfortable for you to use. Again, this is a very personalized experience. Acupuncture - Relaxation techniques aimed at the nervous system, such as acupuncture, can help to reduce OSA symptoms and snoring. Chin strap - By using a chin strap device, you’ll allow the jaw to remain in a forward position, which keeps the airway open better. Dental appliances - OSA symptoms can be reduced or even alleviated by wearing a dental appliance, also called a mouth guard, which helps to keep the airway more fully open during sleep. Pillows - You can use specially designed pillows to help you maintain an open airway throughout the night. Wedge pillows will raise the upper half of your body, allowing for the proper neck and jaw position to reduce OSA symptoms. Sleep apnea pillows are aimed at keeping the neck and head in the proper position to reduce OSA symptoms and snoring. Yoga exercises - Yoga can help you learn to breathe better with strengthened muscles and better lung capacity. Such exercises will help you while you’re sleeping as well, as your breathing and air intake will be more efficient. The best nasal strips for sleep apnea provide an inexpensive option for attempting to reduce or eliminate symptoms of OSA and snoring. If you are looking to sleep more peacefully, as well as allowing family members to avoid having to listen to snoring all night, nasal strips and similar products can be worth a try. 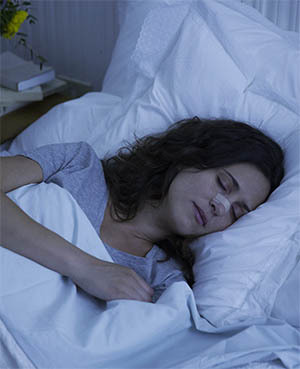 Nasal strips aren’t going to cure severe cases of sleep apnea, but they can alleviate some symptoms of OSA by helping you breathe comfortably through your nose while sleeping on your stomach or side. 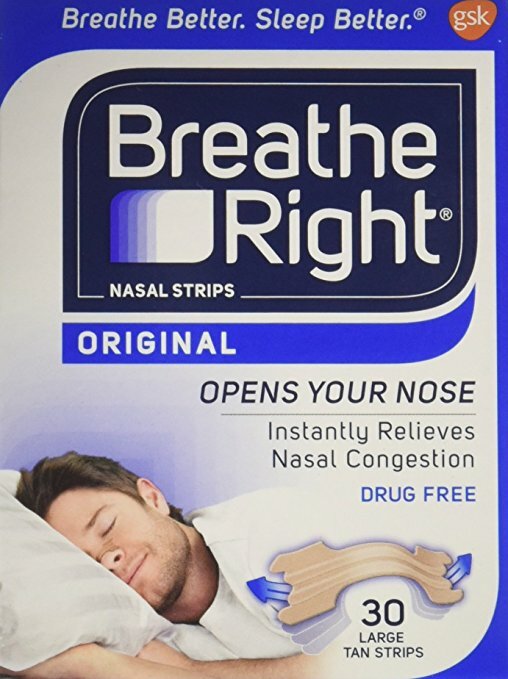 After spending hours of research and study in this category of snoring and OSA aids, we determined that Breathe Right Nasal Strips are the best nasal strips. They’re extremely easy to use, while providing less discomfort and pain than some other products. There are numerous size and design options available from Breathe Right, which means you’ll have a great chance to find the best product to meet your individual needs. Additionally, they have a reasonable price point, meaning you aren’t going to risk a lot of money to see if the best nasal strip option will be helpful for you. It’s worth noting that some people aren’t able to receive sleep apnea treatment relief with standard nasal strips. If this describes you, consider switching to one of the best nose vents and best intra-nasal devices on our list instead. These options are a bit more intrusive, but plenty of people have reported at least some success with them as well. Our research shows all three of the options on our best nasal strips list offer a relatively high success rate with reducing snoring symptoms and helping you sleep more soundly, so don’t hesitate to give these products a try, perhaps in conjunction with another sleep apnea product!